The Seagate Enterprise Performance 10K HDD 2.4TB Hybrid Disk Drive is an ideal hard drive for mission-critical applications. It delivers best-in-class mission critical random performance, highest capacities and the low power that data centers need to meet demanding service level agreements and to keep up with data growth and reduce IT operating costs. It boasts 2.4TB storage capacity to securely store all your data files. Enjoy comfort computing with highest data transfer speeds. 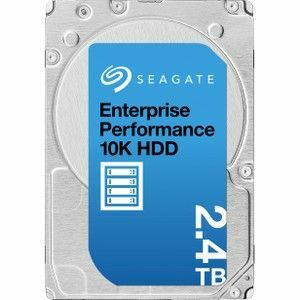 Purchase the Seagate Enterprise Performance 10K HDD 2.4TB Hybrid Disk Drive today!